This frog can be found in the forests of Argentina, Uruguay and Brazil as it silently and patiently waits to pounce on prey. It has an incessant appetite and will swallow almost anything that ventures close to its mouth. It even eats mice. In a quick lunge, this frog engulfs small mammals and other frogs. 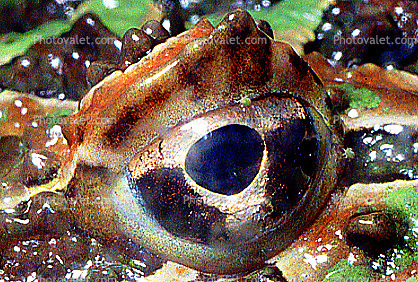 The horns above its frog eyes give it a more ferocious appearance that makes them more fearsome to predators. Size: females 14 centimeters (5.5 inches) long, males 10 centimeters (3.9 in) long. Lifespan: average is 6 to 7 years, though up to 10 years is possible.